Standard - €333.99 Only 6 left! It was so exciting to see all the crazy smart creatures return from the old films, and even the not so smart ones. We had shivers going down our spine when the raptors came out for the first time, waiting for them to turn on their trainer Owen Grady. But that was nothing compared to waiting for the Indominus Rex to jump out and scar the living day lights out of everyone in the theater. Now, not only can you watch dinosaurs being awesome on the big screen, you can even become one. 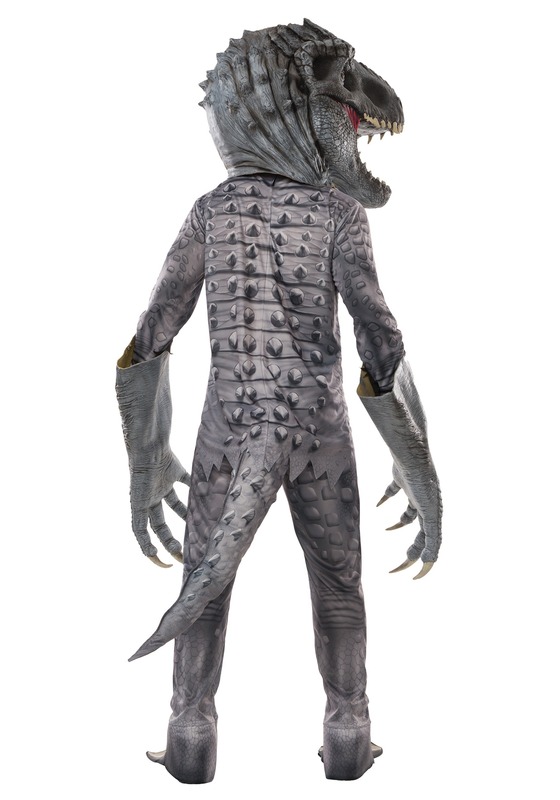 This Jurassic World Indominus Rex Creature Reacher Costume will let you become the scariest dino ever created in a lab. You’ll be stomping all over town, crushing buildings, and gobbling up all the things scurrying away from you. Or you can just jump out from behind doors to scare the bejeezus out of your friends. 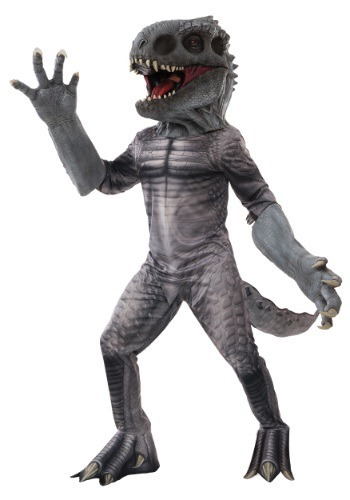 Either way, get this costume to enjoy the wonder of living dinosaurs, because if you make your own in a lab…well, we’ve seen (and Dr. Ian Malcolm has told us, repeatedly) how well that works out in the long run.